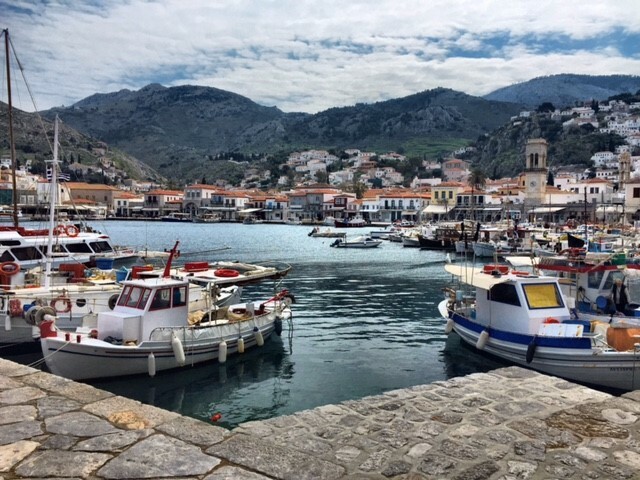 Back in March while mindlessly messing around with something in the kitchen, my husband asked “want to go to Greece this weekend?” I stopped in my tracks and made an attempt to not become overwhelmed with excitement. If you ask me that question, we are definitely going-- there is no other option. He went on about a deal he came across while browsing through Travelocity: 4 days with flights, hotel, and breakfast included. Living in Abu Dhabi, it was only a 6 hour flight to one of my dream destinations. How do you beat that? My other half conveniently had a 4 day weekend off work, so there was nothing to stop me from being on board (not that I would let anything keep me from going anyway). 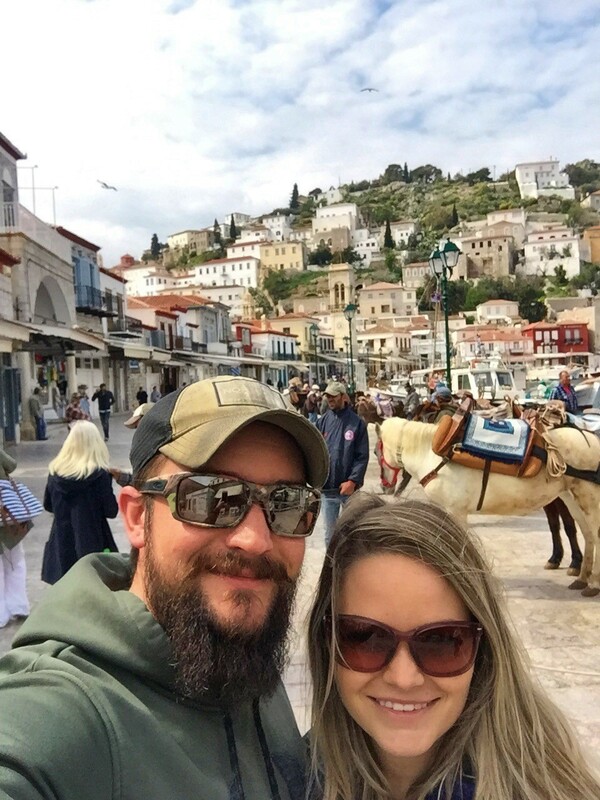 He booked the trip and just 2 days later-- off to Athens we went! Now there are times you’ve built something up in your head or become overly excited-- only to disappoint yourself with the actual result. This was not my case. I fell in love with Greece even more. You should have seen me. I was like a kid in a candy store-- dragging my husband to see and do everything. 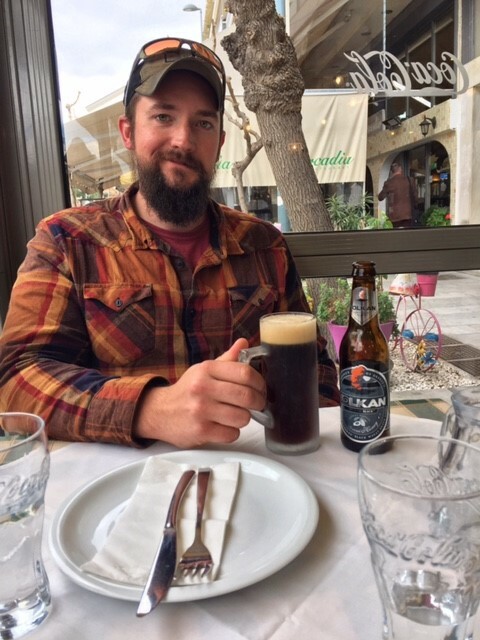 We walked at least 10 miles (around 16 km) a day, indulged in an abundance of great food, saw every monument we could, and embarked on a lovely day cruise to a few Greek islands. My newly found energy was surprising to him, since I was barely out of my first trimester funk-- including the all too well-known exhaustion and nausea it’s associated with. We stayed in The Athens Gate Hotel, located directly located across the street from The Temple of the Olympian Zeus. We were even lucky enough to have a room that provided an amazing view of it. The rooftop restaurant has an incredible view of the Acropolis as well. The hotel is located in close proximity to many local shops, restaurants, and other monuments. It is in the perfect location if you desire to walk around and explore (which is how we enjoy venturing out). You have to love the locals. 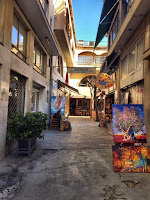 During our trip, we were approached numerous times to offer directions or recommendations, tell us about their restaurant or shop, or indulge us in a little history. They were always so kind and welcoming. In their warmth, they had a way of approaching you without feeling like they were after something. It’s one of the few places I’ve been where they didn’t seem inconvenienced by tourists and I appreciated this. Nothing can ruin your vacation like not feeling welcome. I really enjoyed listening to their stories about how proud they were of their country, their culture and their history. 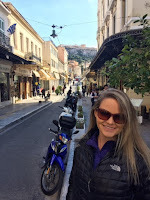 Between being pregnant and all the walking, we indulged in A LOT of Greek cuisine. Owners of restaurants were out on the streets talking to you all about their establishment and why you should enjoy your next meal with them. The food and the shopping were pretty easy on the wallet, so we made sure to enjoy as much as we could. 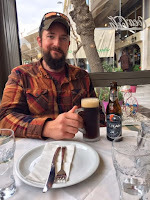 We tried several different restaurants and dishes during our stay-- I could live off Greek salads, cheeses, and gyros. Unfortunately, we didn’t have the time to experience all the popular restaurants or those we promised to come back to, but our favorite (if you’re interested) was God’s Restaurant. 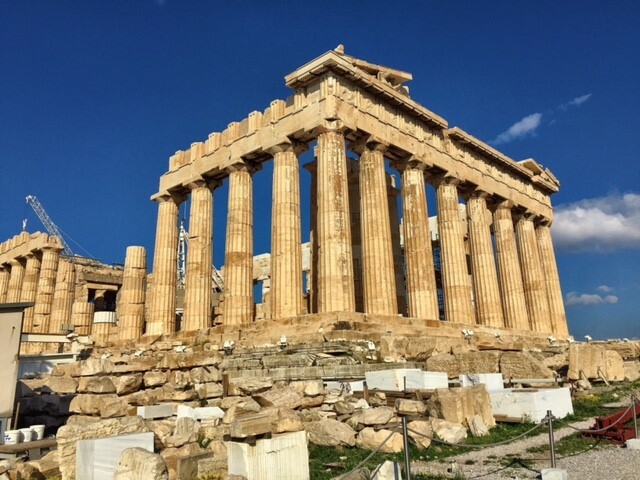 When you look at pictures of the ancient monuments in Athens, it doesn’t do them justice. I cannot accurately describe how truly overwhelming the structures are. 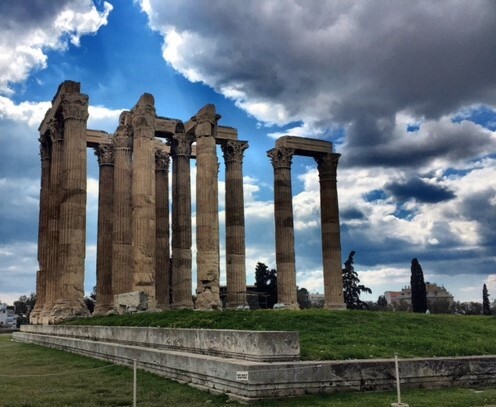 Between hiking up to the Acropolis, doing a guided tour of the Panathenaic Stadium, and exploring the Temple of Zeus I was left in awe. It was not only how massive and detailed they are, but how something so grand could be built so long ago and still be standing today. It’s astonishing and something everyone should experience for themselves. 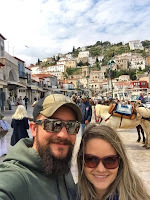 On our last full day in Greece we did a lovely day cruise to the islands of Poros, Hyrda, and Aegina (which again we found through a Travelocity deal). 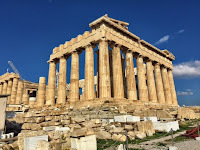 This gave us the opportunity to squeeze in a little more site seeing of Greece in our short stay. We did spend most the day on the boat, but seeing these unique islands was worth the long ride on the water. 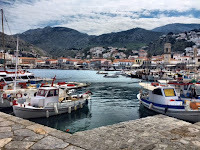 Hydra was my favorite and this charming island doesn’t allow motorized vehicles. The main methods of transportation are by foot or by horse. You felt taken back in time. 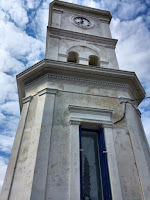 On the island of Poros, we hiked a winding stone stairway to a beautiful clock tower overlooking the bay. A little out of breath, we took in the gorgeous scenery. 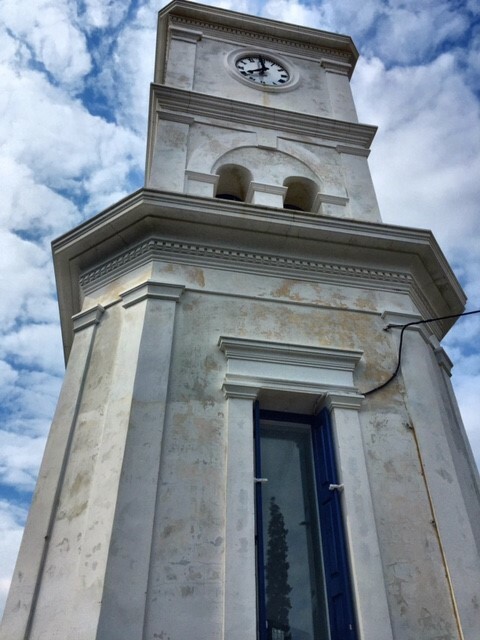 On Aegina, we joined a bus tour on see pistachio fields and the hundreds of churches still on the island-- quite a breathtaking site. beat when there was so much to love. There is still more of Greece I want to see (like Santorini for example) and I hope I will get the opportunity to enjoy and share it with you soon. 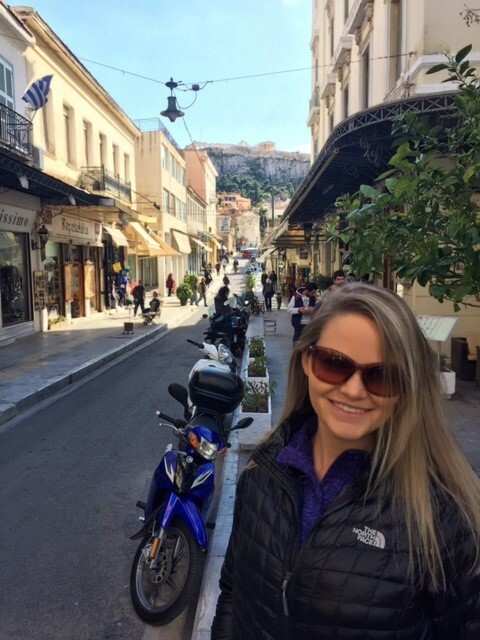 I've always loved the Olympics so Athens has been on my list for awhile! This place looks amazing! What a great idea of the name babymoon!😂 We did a 15 month round the world babymoon hoping to get pregnant at the end of our trip. And 2 month before we decide to get home I became pregnant! Sound like you had a great time! 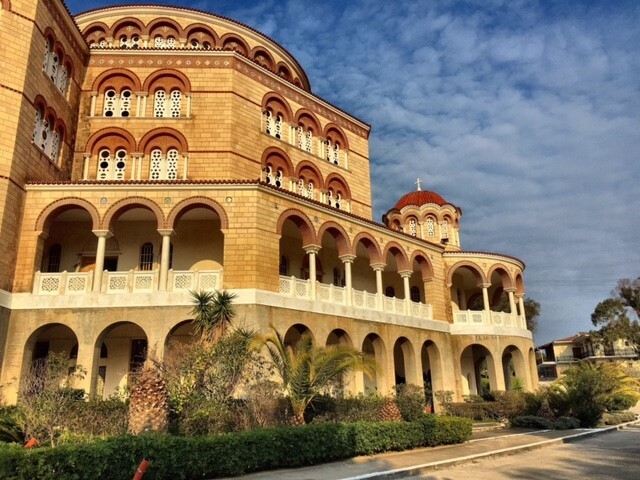 Hope that you will get to see more of Greece! 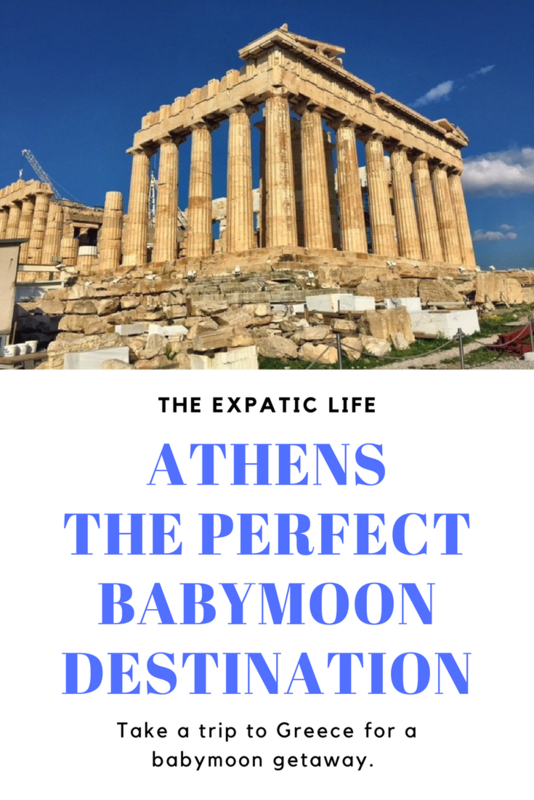 I am so definitely going to steal that idea of a name "babymoon", lol, and you're so right, who says we can't have a babymoon. I love going on vacations and letting my hair down. 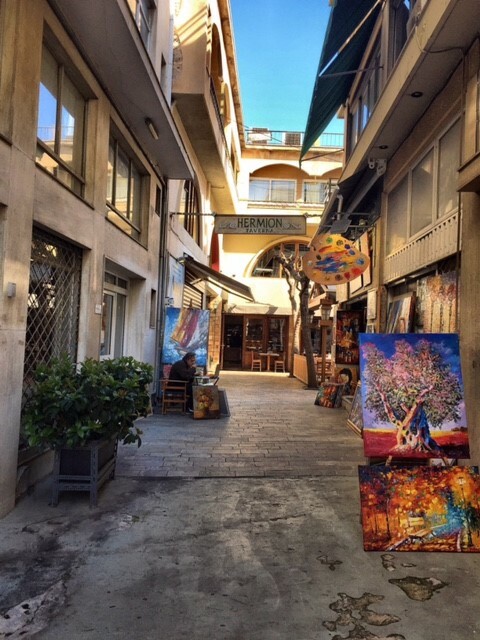 I have heard so much about Athens and you've just confirmed all the beautiful things I've heard earlier. Thanks. I have always wanted to visit Athens due to the Greek mythology. You look like you really had a good time. Great post! I hope I get to visit soon. 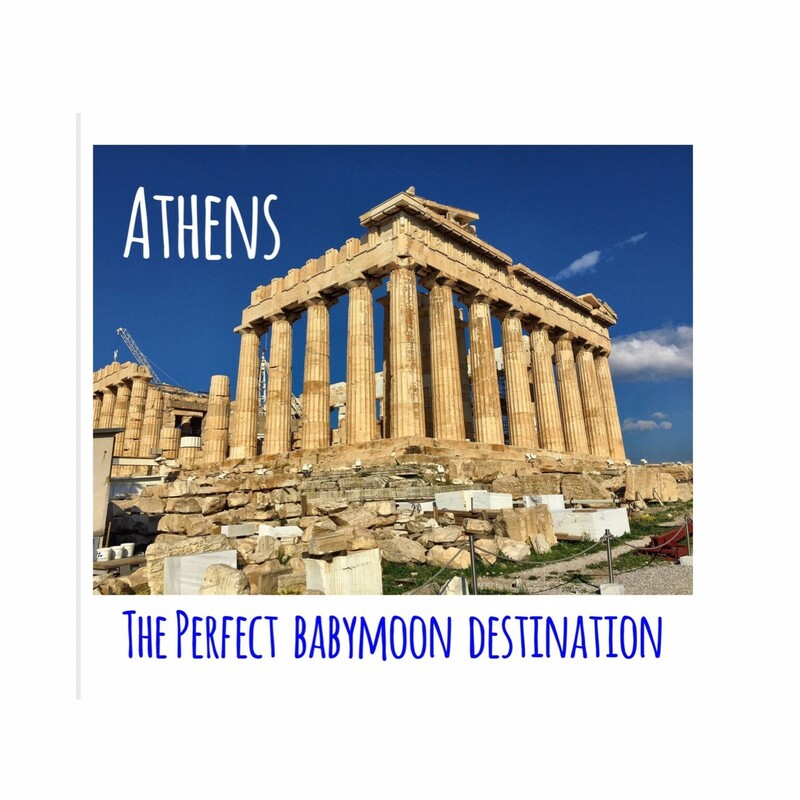 Wow - you went to ATHENS for your babymoon?!? How lucky are you! All we could afford time- and money-wise was an overnight to our nearest major city (75 miles away) but it was still a blast! 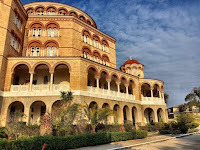 Wow Athens looks heavenly hope you had an amazing time on your babymoon. Loved reading it. I want to go to Athens SO MUCH! It is on top of my travel bucket list. Thank you for sharing! Looks like an absolutely beautiful trip! Athens is so beautiful. I will have to put it on my bucket list for sure. Really great idea for a babymoon!